The Memorial Candle Program has been designed to help offset the costs associated with the hosting this Tribute Website in perpetuity. Through the lighting of a memorial candle, your thoughtful gesture will be recorded in the Book of Memories and the proceeds will go directly towards helping ensure that the family and friends of Frank Sciortino can continue to memorialize, re-visit, interact with each other and enhance this tribute for future generations. 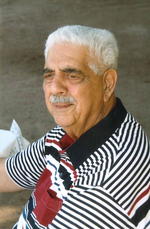 Frank Sciortino died at the age of 85 on March 14th, 2019 in Las Cruces, New Mexico at Memorial Medical Center. He was born on May 31st, 1933 in Brooklyn, New York. His parents were Rosario and Michelina Sciortino. Frank founded Staten Island Bus Company in Staten Island, New York. He also provided transportation to private schools in Manhattan, Brooklyn and Long Island. He moved to Las Cruces, New Mexico in 1974 with his wife and four children. 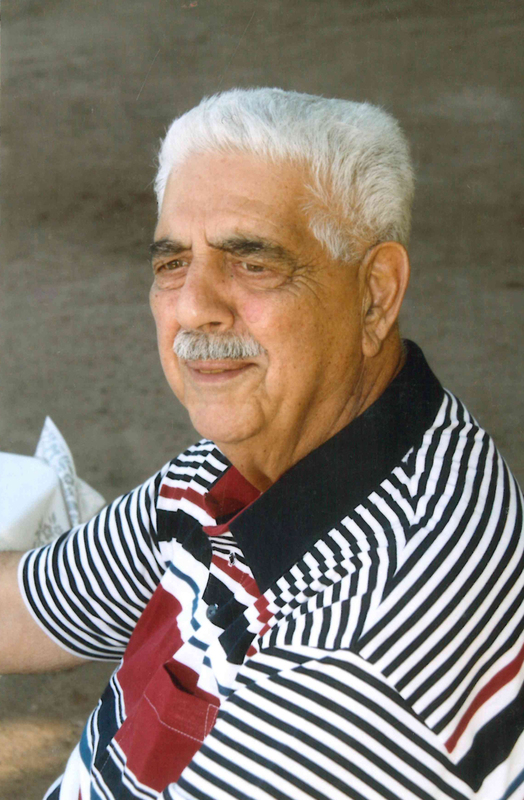 While living in Las Cruces, he began and sustained many businesses and invested in real estate. He founded Big Daddy’s Flea Market which has been a success for 35 years and is currently operated by his two sons. He was a member of the Sales and Leads Exchange Club for 43 years and was its president in 1981. He was a member of Immaculate Heart of Mary Catholic Church and has contributed to many organizations. He had a strong faith in God and the Catholic church. Maintaining his Italian culture and traditions with his family was very important to him. He enjoyed being an entrepreneur of many profitable businesses. He was a natural business man and was well liked and respected in the Las Cruses community. He was a self-educated man in various cultures and languages including Italian, Spanish, German, Chinese and Hebrew. He had a wonderful sense of humor and was often the center of attention at social events. He was a soccer player as a teenager and was an excellent saxophone player. He played in several bands in New York. He also played in the army band in the Korean War. He was an avid reader. All that knew him, will never forget him. He made a lasting impression on all those whom he encountered. Frank is survived by his wife Mary Sciortino. He is also survived by his children Laura Simpson (Mike), Frank Sciortino (Lucy), Anne Kniffin (Mitch) and Leonard Sciortino (Maria). He is also survived by his nine grandchildren: Christopher Simpson, Matthew Simpson (Kimberly), Allison Torres (Anthony), Nicole Castillo (Cip), Robert Sciortino, Annette Sciortino, Mark Connelly, Alexander Connelly (Aubrey), and Amanda Connelly. He is survived by seven great-grandchildren: Evangeline Simpson, Henry Simpson, Agatha Simpson, Frederick Simpson, Jordan Castillo, Rosie Castillo and Finnegan Connelly. He is survived by his sister Joan Gundersen and sister in law, Patricia Sorchy and nieces Teresa Murray and Karen Gulbrandsen all presently residing in Florida, as well as numerous relatives in Florida, New York and New Jersey. He is predeceased by his parents and brother. The family would like to express their most sincere appreciation to Dr. Louis Benevento, Dr. Eduardo Pollono, Dr. Kermie Robinson, Dr. Jaime Quezada, Dr. Ann Taylor, Dr. Jeff Pack, and his assistant Brett. Additionally, for the excellent care provided by the nurses in the ICU at Memorial Medical Center. A Memorial service will be held on March 20th, 2019 at Getz Funeral Home at 1410 E. Bowman Ave from 5-7 p.m. followed by a rosary from 7-8 p.m. Serving as pallbearers will be Frank Sciortino, Jr., Leonard Sciortino, Matthew Simpson, Mark Connelly, Alexander Connelly and Cip Castillo. Honorary pallbearer is Christopher Simpson. A mass will be held at Immaculate Heart of Mary Catholic Church at 1240 S. Espina St. on March 21st at 10 a.m. followed by graveside service and burial at Hillcrest Memorial Gardens and Cemetery at 5140 W. Picacho Ave.
A reception will be held from 2 to 5 PM at KC Hall at 2755 E Idaho Avenue in Las Cruces. To send flowers to the family of Frank Sciortino, please visit our Heartfelt Sympathies Store.